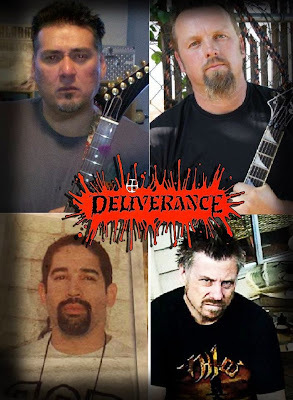 Deliverance is an American Christian thrash metal band which later shifted more towards heavy metal and progressive metal. Founded by Jimmy P. Brown II in 1985, many members have either stayed in the lineup for a number of years, or left and returned to the lineup. Jimmy P. Brown II has been the only persistent member of Deliverance. 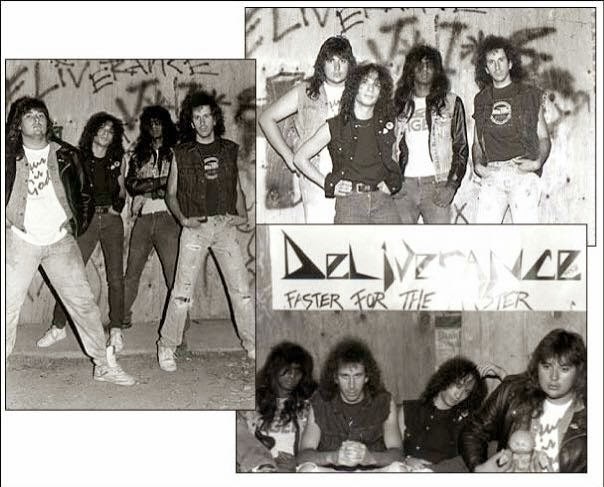 Deliverance formed in 1985 as a speed metal outfit, where the Christian metal community first encountered them on the compilation album California Metal. 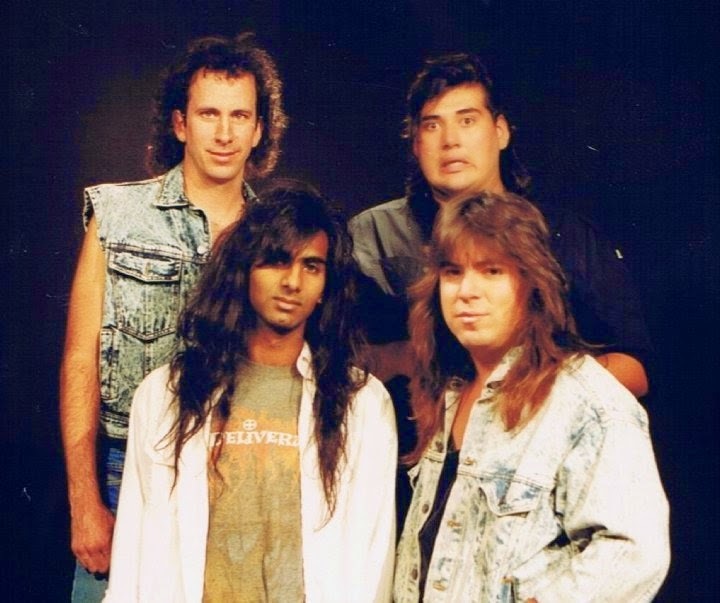 They put forth their self-titled debut album Deliverance in 1989 with Jimmy P Brown II (guitars and lead vocals), Glenn Rogers (lead guitar), Brian Khairullah (bass), and Chris Hyde (drums). 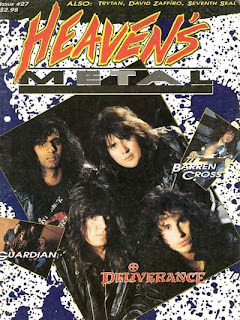 In 1989, Deliverance's track "If You Will" from their self-titled album appeared on Hot Metal Summer II along with a recorded interview. 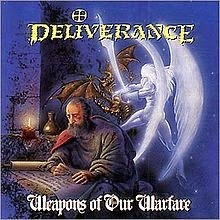 Deliverance garnered significant attention in the Christian metal community with their 1990 release Weapons of Our Warfare. During this time, the band replaced guitarist Glenn Rogers with George Ochoa. Deliverance released a video on MTV for the title track of Weapons. The track was also included on Intense Records compilation album Hot Metal Summer III Hot Licks - Cold Facts. During the production of their third album, What A Joke, Brian Khairullah and Chris Hyde were replaced with Mike Grato and Kevin Lee respectively. The album did not perform as well, and tensions within the band resulted in the departure of George Ochoa. Their fourth album was a major change in direction for the band musically. Stay of Execution went in a more progressive metal direction, complete with new guitarist Mike Phillips. "I got tired of being labeled 'Oh, there's Deliverance.... the Metallica clones are back.' You know, that got really old. Because in a sense we were kind of ripping them off. But I definitely know that the Lord wants us to be original. I want to be original. So I think it was time." While this move did anger fans at the time, others feel that Stay represents Deliverance's best work. Their fifth album, Learn, continued in a progressive direction with new bassist Manny Morales and lead guitarist Jonathan Maddux. From this time on, the other positions in the band changed with increasing frequency, but the core of the band remained Jimmy Brown and Manny Morales. 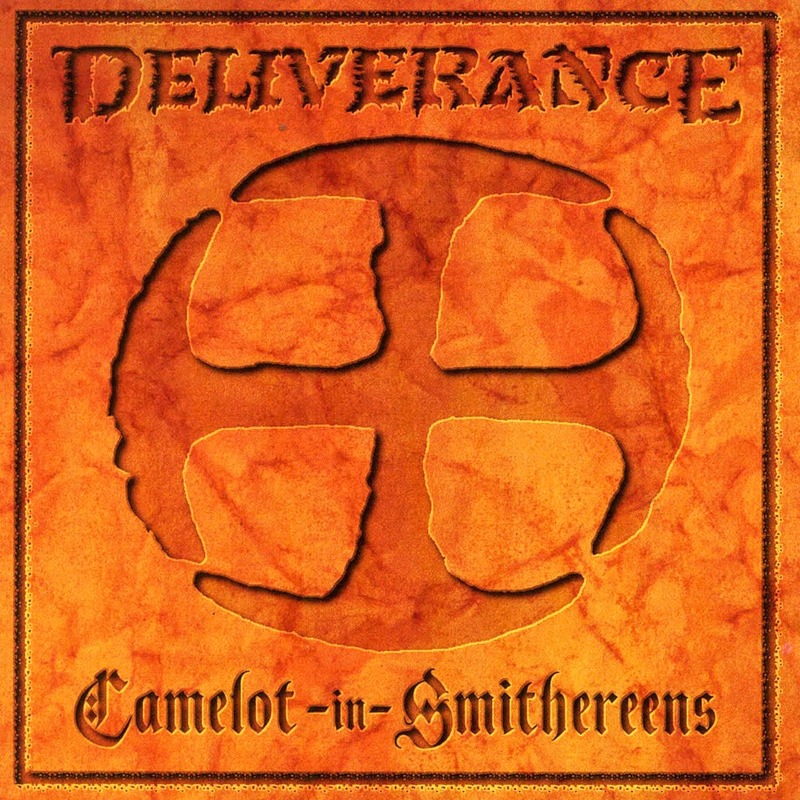 Deliverance released River Disturbance in 1994 and Camelot in Smithereens in 1995. Camelot was the poorest seller in the Deliverance catalog at the time. 1992, Stay of Execution press photo. Left to right: Mike Phillips, Kevin Lee, Brian Khairullah, Jimmy P. Brown II. 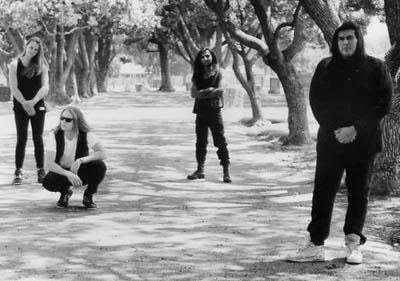 After a four year hiatus, Deliverance resurfaced in 2000 and began recording their next studio album, Assimilation, which was released in the following year. Assimilation represented another change in style with a shift towards a more electronic/industrial sound. Deliverance again retreated until 2006. In 2006, Deliverance reformed with a lineup of Jimmy P. Brown II, Mike Phillips, Corin Jae Scott, Tim Kronyak, and Mike Reed. The bands next album As Above - So Below was released on April 24, 2007. Full length songs from the album can currently be heard on the band's official MySpace page. The album featured a mix of all their past material (musically) with some more modern metal elements. Deliverance announced they would be releasing a new album sometime in 2010 called The Annals of Subterfuge. This would mark Deliverance's 25th Anniversary. Though rumors persist of reuniting with past members, it became apparent that Jimmy would be recording the upcoming album with Mike Phillips. Though the group officially disbanded in 1996, there have been fan demands for concert performances and new albums which caused the intermittent reunions every 4–5 years. Jimmy P. Brown II has spent the past 10 years working in the casino industry in Las Vegas, but currently resides in Alabama continuing his career with the casino industry. Jimmy has been quoted as saying: "I moved to Alabama to be close with my family, and to try regain normalcy for my family. Having lived in the fantasy land of Las Vegas for the past 10 years, I wanted to stay in the casino biz, but didn't want my kids growing up the Vegas way". On May 20, 2011 Mike Phillips announced that Deliverance was finally coming to end and would be performing their final show in August 2011. 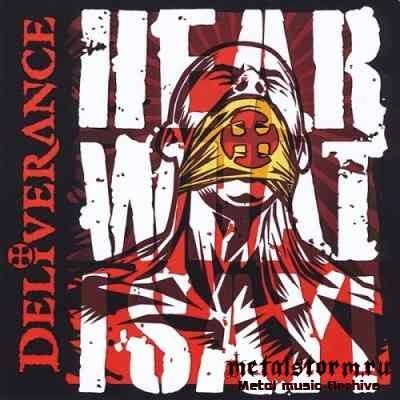 However, by July 2012, Deliverance had resurfaced again and been working on their tenth studio album Hear What I Say!, which is due for release on September 3, 2013 on Roxx Records and will be their final album. After Deliverance, Jimmy Brown started to work on a new project, electronica-industrial-gothic group Fearful Symmetry. The name is taken from the poem "The Tyger" by William Blake. The group has published two albums, This Sad Veil of Tears in 2002 and A Loss of Balance in 2005. Also in 2005, Jimmy formed a outfit called Jupiter VI along with Brian Khairullah, Trevor Shannon, Mike Reed and Tiberius Ahan. This band provided an outlet for Jimmy to express his love for glam rock, cited influences from Bowie, T-Rex, DA, Iggy Pop and others from the genre. They released one album titled "Back From Mars". Jupiter VI is currently working on their second release titled "A Message From Home Pt. I". Brian Khairullah, former bass guitarist, has since renounced his faith and has unflattering things to say about religion. Jimmy P Brown II has made several references to Queensrÿche throughout his career in Deliverance, not the least of which is the band name itself, taken from the title to track 3 on Queensrÿche's 1984 album, The Warning. Jimmy has never been bashful about honoring other musicians who have influenced him greatly. Along with his true musical heroes, David Bowie and Terry Scott Taylor, there is no question that Jimmy's greatest band influence will always be Queensrÿche. • "Lord of Dreams", track 7 from their 1992 album, Stay of Execution contains the lyric "dream control is so hard to achieve, mastered through some evil scheme". A direct reference to Queensrÿche's 1990 super hit "Silent Lucidity", track 8 from the album Empire where in the lyrics say "if you persist in your efforts, you can achieve Dream Control". Both the Deliverance and Queensrÿche songs are dealing with dreams. •"Renew", track 5 from their 1993 album, Learn, contains the phrase, "Even dead you still seem sad," a reference to the line "Even in death you still look sad" from "Electric Requiem", track 10 from Queensrÿche's 1988 album, Operation: Mindcrime. "Operation: Mindcrime", track 4 from Queensrÿche's 1988 album, Operation: Mindcrime. •"Speed Of Light", track 5 from their 1994 album, River Disturbance, contains the phrase, "Until we see your shadow casting on us once again," a reference to the line, "Oh let me see you standing in the shadows once again" from "London", track 9 from Queensrÿche's 1986 album, Rage for Order. •"Assimilation", track 3 from their 2001 album of the same name contains the phrase, "Screaming In Digital," a reference to the song title of track 10 from Queensrÿche's 1986 album, Rage for Order. •The cover art for Hear What I Say! (2013) is stylistically similar to the cover art for Queensrÿche's Operation: Mindcrime. Further, the title is synonymous with "hey, listen to me! ", a phrase heard in "Speak" from Operation: Mindcrime. 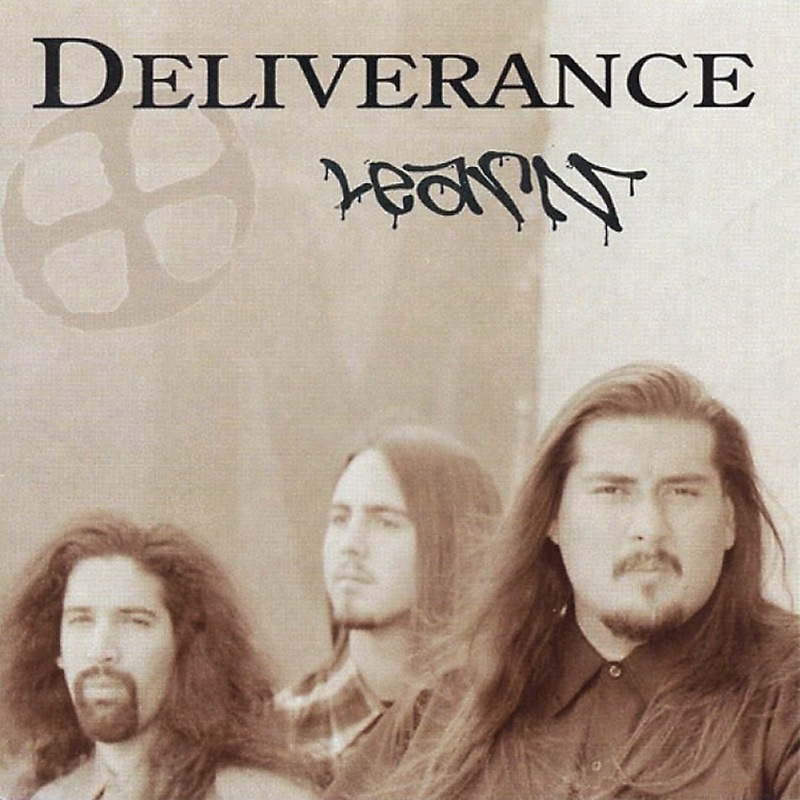 Along with other Christian metal groups, Deliverance was often accused of copying mainstream bands. Most notably, they were criticized for copying Metallica's style. Jimmy Brown brought this up in multiple interviews, noting the band was mocked as "Metalliclones". 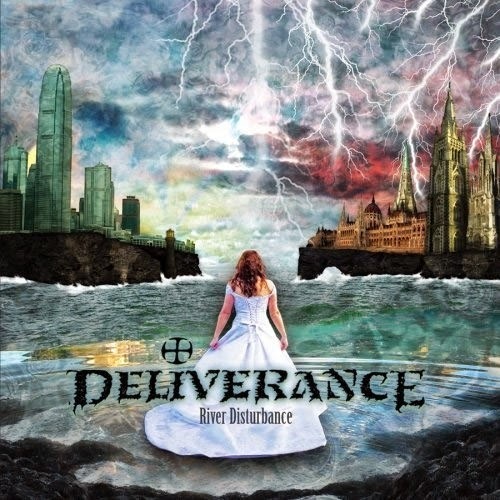 Deliverance is the 1989 self-titled debut album by the Christian speed/thrash metal band Deliverance. The original Intense Records pressing is now considered a valuable collectable. It was reissued, minus 2 songs in 1998 on KMG Records as a 2 disc set along with the 1990 album Weapons of Our Warfare. It was officially re-released late 2008 with 2 bonus tracks on Retroactive Records. The album was ranked at number 44 on Metal Hammer magazine's top 50 thrash metal albums of all time list. 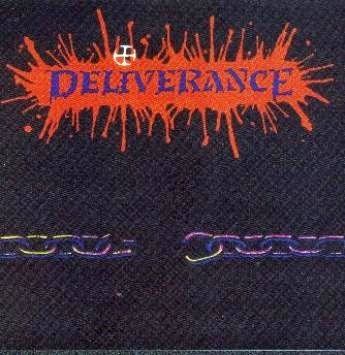 In 2010, HM Magazine listed Deliverance #31 on its Top 100 Christian Rock Albums of All Time list stating that "'If You Will' into 'The Call' is almost as good as metal gets (-Doug Van Pelt)” and that "this record would forever change and impact me and the Christian metal music scene as we knew it! "(-Bill Balford). Heaven's Metal fanzine ranked it #3 on its Top 100 Christian metal albums of all time list. Note: Both bonus tracks originally appeared on the California Metal compilation. Weapons of Our Warfare is the second album by Christian speed/thrash metal band Deliverance and is considered by many to be the band's magnum opus. The album was originally released in 1990 on Intense Records and printings from that release are very rare and considered collector's items. The album was re-issued in 1998 as a two-disc set along with Deliverance on KMG Records. In 2008 Retroactive Records released a remastered version of the album with the bonus track "Rescue", originally released on the Decade of Deliverance compilation. Weapons of Our Warfare was released a year after the band's self-titled debut. Guitarist Glenn Rogers (Hirax) had left the band and former Recon guitarist George Ochoa joined in his place. James P. Brown II's highly technical rhythm guitar style drives most of the album. The band plays with controlled fury at fast tempos. The album marked musical growth with several extended, multi-sectioned compositions foreshadowing the band's later progressive epics. A video version of the title track placed among the top three on MTV's Headbanger's Ball countdown for twelve weeks in a row. In 1999, Lars Ulrich of Metallica hosted a show in which he named Deliverance Weapons... as one of his top ten favorite metal videos of all time. 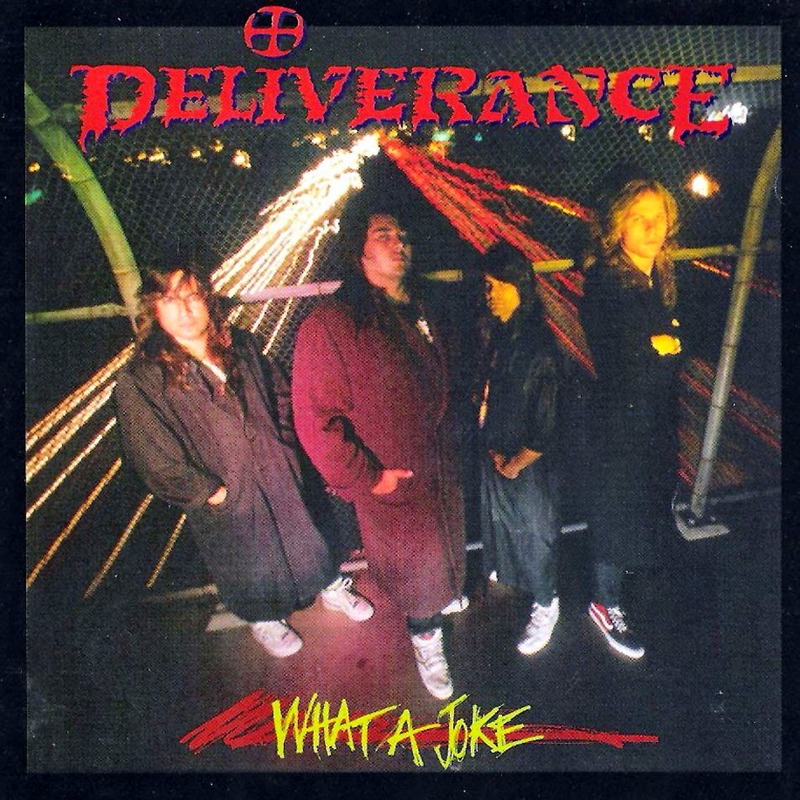 What a Joke is a 1991 album by the Christian speed/thrash metal band Deliverance. It features many short "joke" songs, hence the title of the album. The album speaks out against those who think the idea of combining Christianity and heavy metal is evil, especially in the song "It's the Beat". "Silent Night" is a cover of the traditional Christmas carol and "After Forever" is a Black Sabbath cover. After being out of print for many years, the album was reissued in 2011 with new cover art on Intense Records. 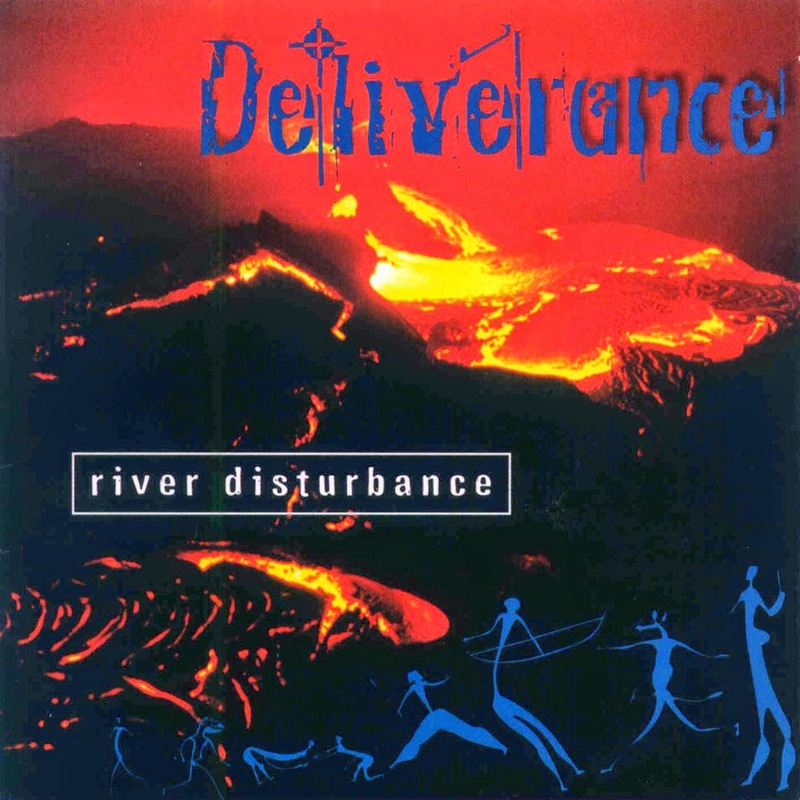 River Disturbance is a 1994 album by the Christian speed/thrash metal band Deliverance. This album was originally intended to be combined with Camelot in Smithereens. Disputes with the record label led to the album being split into two separate releases. 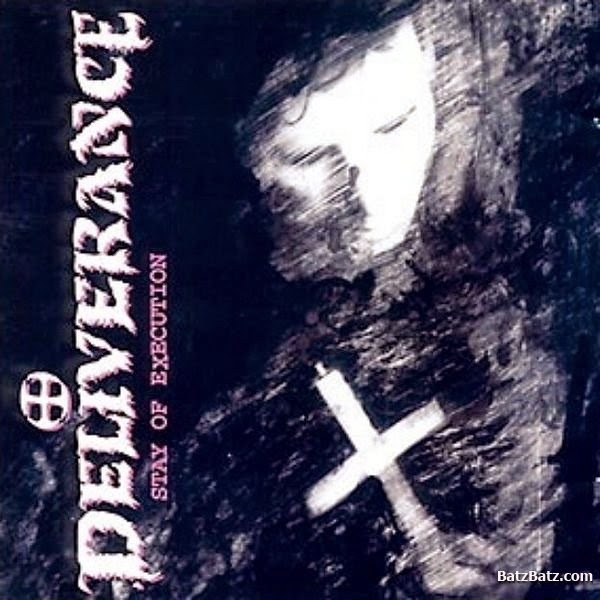 Assimilation is a 2001 album by the Christian speed/thrash metal band Deliverance. It was reissued in 2007 by Retroactive Records as a double CD with demos and instrumental mixes on disc 2. 1. Greetings Of Warming Up, Etc. 4. Greetings Of Band Intros, Etc. 10 Greetings Of Odd Requests, Etc.